New resources focus on technology integration, emergent bilingual learners. 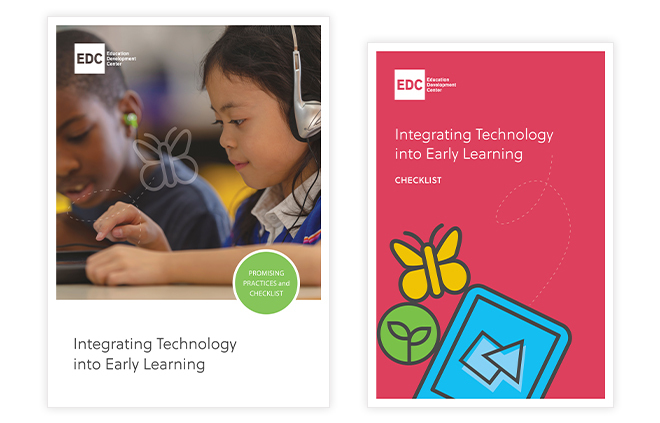 Early childhood educators looking for ways to develop a supportive learning environment for children who are emergent bilingual (or dual language) learners, while also seeking to meaningfully integrate technology tools into their programs, now have two new EDC resources. Both resources were funded by the Bill & Melinda Gates Foundation. Supporting Emergent Bilingual Children in Early Learning and Integrating Technology into Early Learning draw on current research into how children learn, giving educators promising practices for supporting the diverse needs of young learners. These resources also provide easy-to-use classroom checklists to aid educators in effectively implementing these practices. 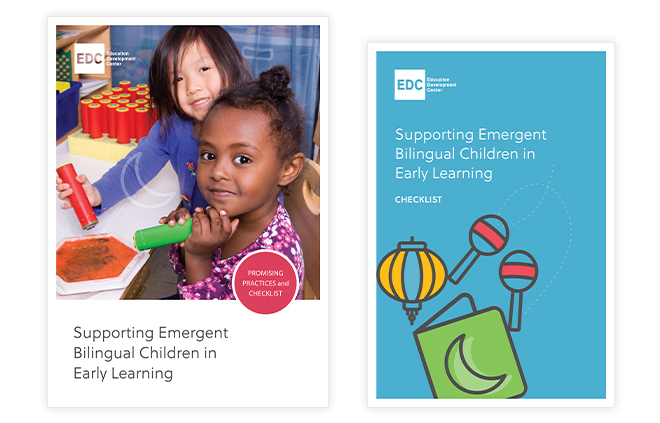 The resources, available in Spanish, Chinese, and English, are applicable to all early childhood professionals, working in all types of learning environments, with young children from all backgrounds. Want to know more? Follow the hashtag #EarlyEdTools on Twitter for ideas and to connect with other early childhood educators or contact Heather Sherwood.